HCS Group acquires the transformer technology division of EES Jürgen Scholz GmbH and establishes Electrical Oil Services GmbH, thus strengthening its expanding German and European EOS insulating oil services business. Frankfurt am Main, August 15 2018 – HCS Group, a leading international supplier of solutions for high-value hydrocarbon specialties, has taken over the transformer technology division of EES Jürgen Scholz GmbH (EES) based in Hamburg. “The acquisition of EES’s transformer technology division supports our efforts aimed at extending our pan European Electrical Oil Services (EOS) activities, and accelerate our expansion path”, says Uwe Nickel, CEO HCS Group. 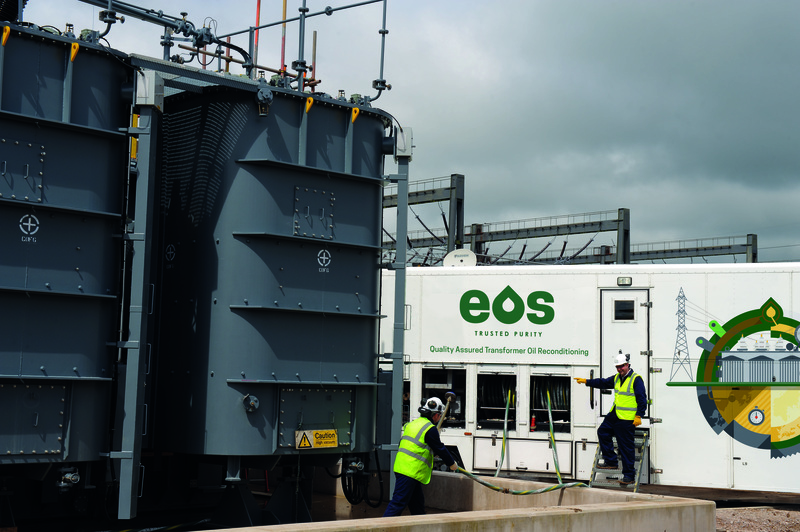 EOS, as a brand of HCS Group, is a leading supplier of both regenerated and unused electrical insulating oils and associated transformer services in Great Britain. About a year ago, HCS Group began to expand its successful EOS activities into Continental European market. With the acquisition, HCS Group combines the expertise, experience and mobile equipment from EES with that of EOS, which has been very successfully developed over the past 60 years. The transformer technology division of EES is responsible for mobile transformer maintenance and services and has been successfully operating on the German market for over 40 years. Large and small industrial companies and municipal utilities belong to the circle of customers.